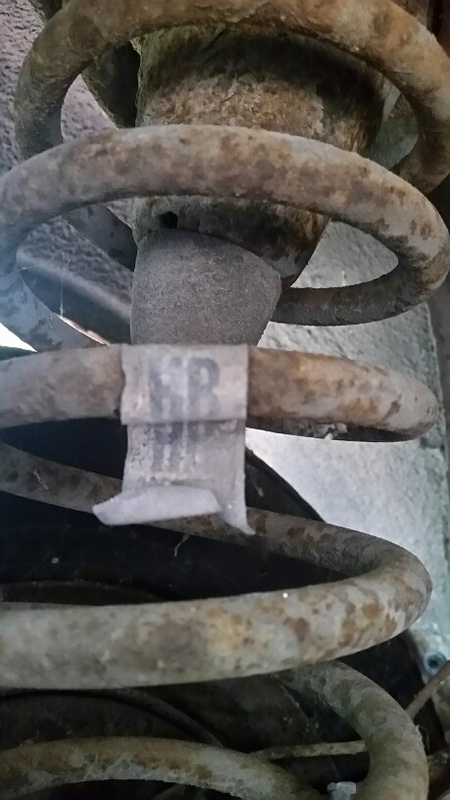 We collecting additional data regarding the ID tags attached by Chevrolet to the suspension springs - especially the rear springs. 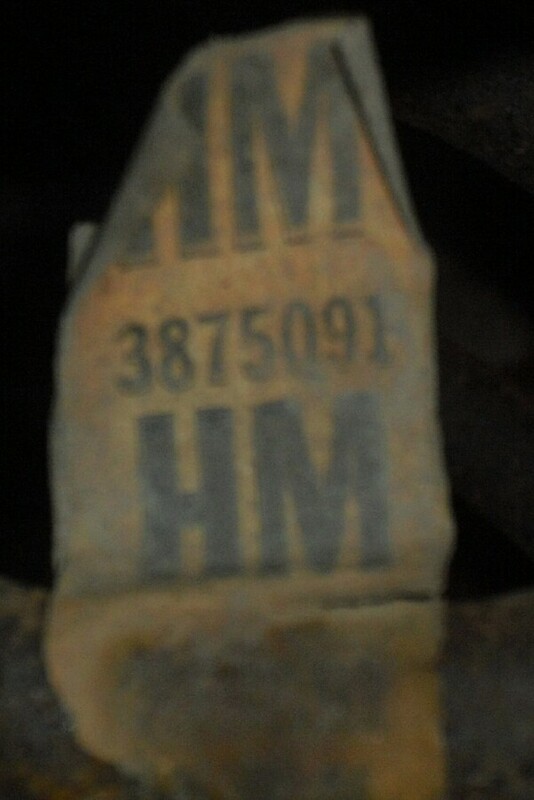 This is one attached to the rear of my 1965 Monza. 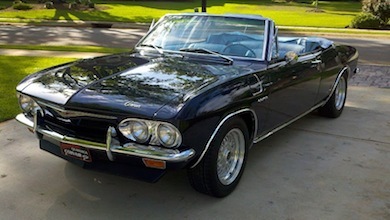 If owners of Convertibles and Factory installed A/C Corvairs could please inspect their cars and report the data if found by replying to this thread, it would be appreciated. We need only the two letter Code and the color of the letters. This tag required a bit of cleaning with a soft artists brush dipped in water to remove the dirt from the surface. 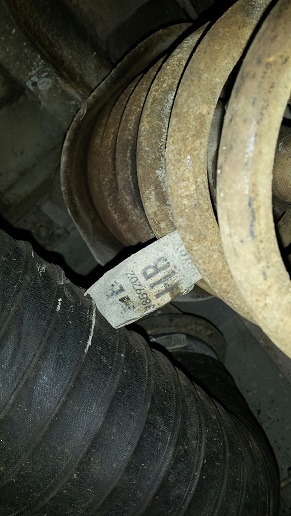 If you also find tags attached to the front springs, it would be great if you can report that same data as well. 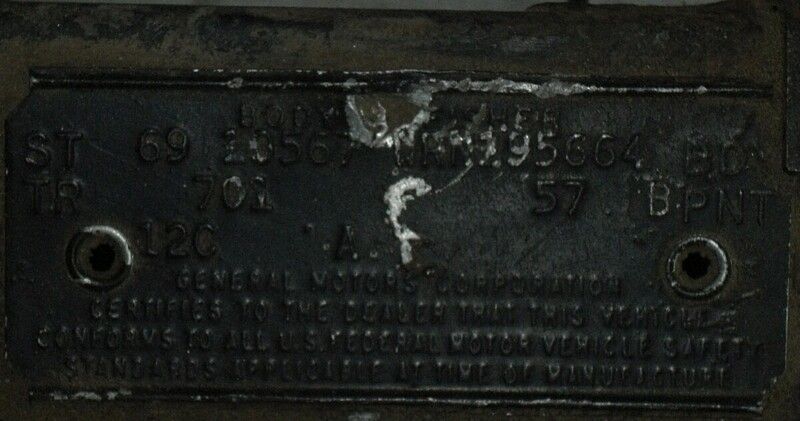 Factory installed A/C is identified by an "E" in the second group on the ACC line of the Fisher Body ID Plate attached to the rear frame rail. on this one 2E is the A/C code. Edited 1 time(s). Last edit at 08/03/2016 05:30AM by 1966-Corsa-GT-180. 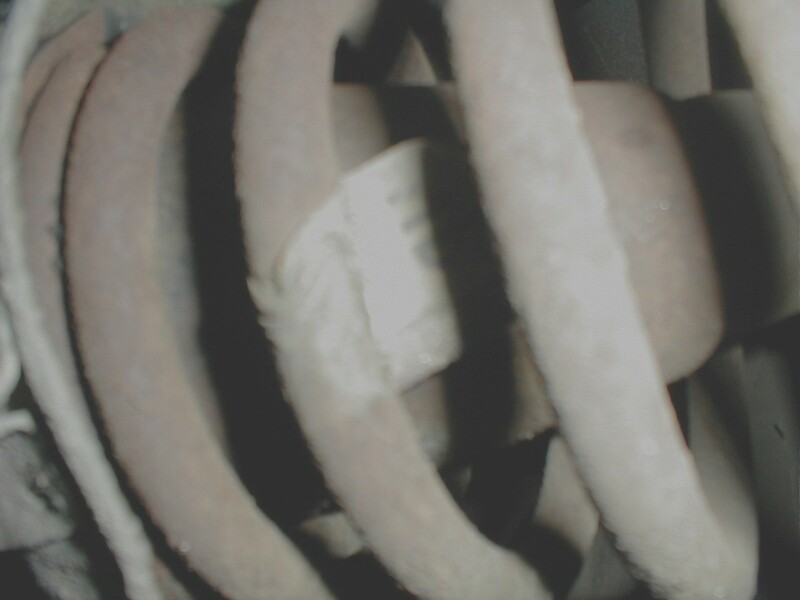 I would love to help but the original springs were tossed when I restored the car 15 years ago. Think ours still has some tags...will check. Both my 66 Monza coupe and 66 Corsa coupe with factory A/C are unmolested. I can look at the Monza coupe this weekend, The Corsa coupe is in the back corner and will be difficult to get at. Both cars have standard suspension. my 65 Monza wo a/c has a white paper tag with large black HB on right. I can find no tag on left. did GM ever list different springs for left and right rears on late models like they did on EMs? 1964 was the only year the springs were side-specific. When I built my rear engined V8 car in 1971 I went to the dealer and asked for the heaviest rear spring the parts catalog listed. I ended up with the springs shown -HB. The parts guy said they were HD for converts. From a 1969 Monza convertible with a factory 140 and telescoping wheel. Not surprisingly it was apparently ordered with HD suspension. My 66 AC convertible has code HB. White/yellow tag, black letters. Add me to the "HB" crowd! Early build 65 Corsa Convertible. 140/4sp. HB springs on all 4 corners. Would have to check the #'s on the tag. 1966 Monza convertible, no AC.